Join a two-day Introduction to Permaculture course with Penny Livingston-Starke at the Kul Kul Farm. During this weekend workshop you will learn the basics of permaculture design to get you started on your permaculture journey. 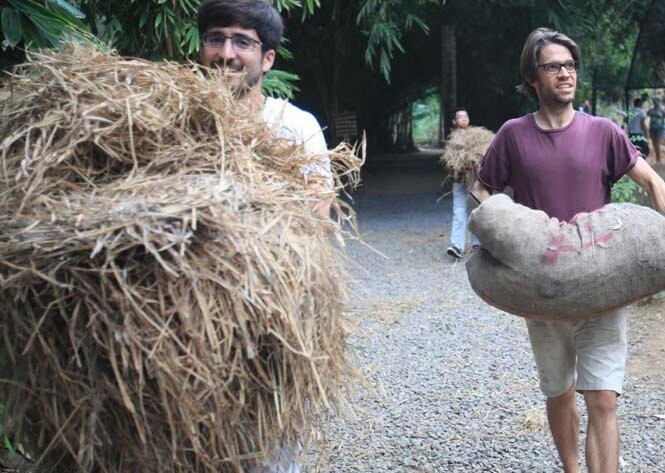 The course will take you through the principles of permaculture and will include both theory and hands on activities. Over the weekend you will gain skills and knowledge to create resilience, efficiency and abundance in your homes and communities. Permaculture is a design process and set of principles that guides us to live and work in ecologically responsible ways. It can be applied to managing land, growing food, designing structures, improving landscapes, and living in community. The term Permaculture (Permanent + agriculture) was coined as a method of agriculture by Bill Mollison and David Holmgren in 1978. It has since grown into a global community focused on using natural systems and ecological design to create communities that live in harmony with the natural world. This course will serve to further your knowledge, expertise and experience in the field of sustainability, regenerative agriculture and permaculture design and is suitable for anyone who is interested in Permaculture and would like to understand the basic principles and get some hands-on experience. Penny Livingston-Stark is internationally recognized as a prominent permaculture teacher, designer, and speaker. She holds a MS in Eco-Social Regeneration and a Diploma in Permaculture Design. Penny has been studying the Hermetic Tradition of alchemy and herbal medicine making in Europe and the United States for 4 years. Your ticket includes lunch on both days of the course and all materials and resources. We get that sometimes things happen and you may not be able to attend the course you paid for. Unless otherwise stated, as long as you let us know at least 3 weeks before the start of the course we will give you your money back less an admin fee of USD$40. Otherwise we can aslo transfer the full amount to any future course you want to attend at The Kul Kul Farm.